Spear: Throwable item that deals bonus damage to small animals. If the spear breaks, simply repair the given part! 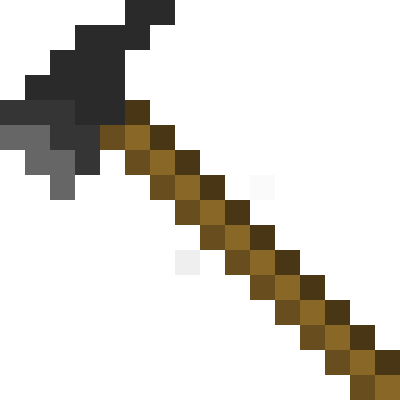 Tomahawk: Ranged and melee weapon. Not half bad. Other stuff are things that were needed for Darkosto's mod pack. I don't really plan to add/ change much about this mod as I don't have much time to. Sorry. Requires Gobble Core as stated by the dependencies. The firepit doesn't seem to be working. Please can you make that mode for MC 1.10.2? Can you please put the fact it requires GobbleCore in the mod description? If the user installs progression tweaks but forgets to install Gobblecore, Minecraft crashes instead of displaying a missing mod screen. The error crash doesn't specify that GobbleCore is missing, only that progression tweaks couldn't invoke something. Can I use this for my private modpack that i'll send to people that created the mods in the modpack like you? cool lil mod! the recipes seem to be upside down tho. The version of the mod is set to @VERSION@ in code. Permission to use on other modpacks?